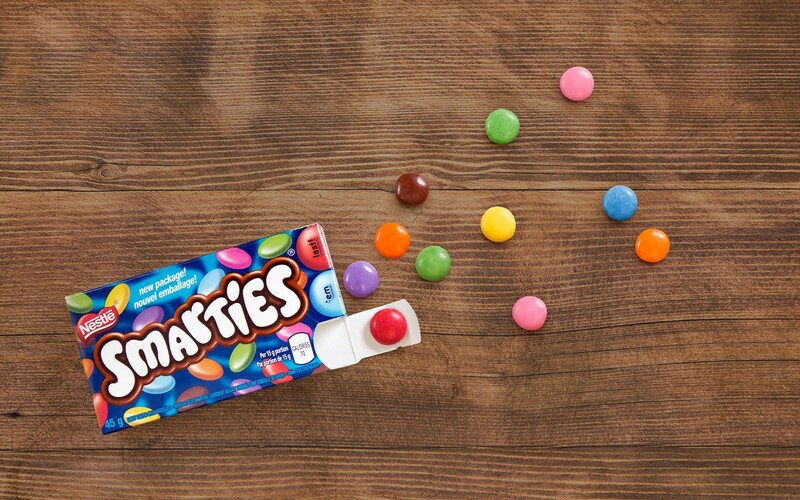 SMARTIES makes ‘em last a little longer with colourful portioned treats! As a leader in helping Canadians make good food choices, NESTLÉ is committed to continuously improving our products in ways you’ll love! SMARTIES is proud to be leading the way by introducing brand new ways to savour your favourite colourful treat. We’re thrilled to present packaging that makes enjoying a portion of SMARTIES even easier. Look out for these fun new formats! • Our new make ‘em last pack splits our shakeable box into three 70 calorie portions of 15 SMARTIES, so you can have a little now, and save some for later! • The new Pop n’ Pour Canister pours a portion every time, and is great for sharing! • Our seasonal treats are now a sweet single portion size that you can feel great about giving. Show us how you SMARTIES on Facebook at https://www.facebook.com/SMARTIES.ca, or on Instagram via @smarties_ca! #howdoyousmarties.